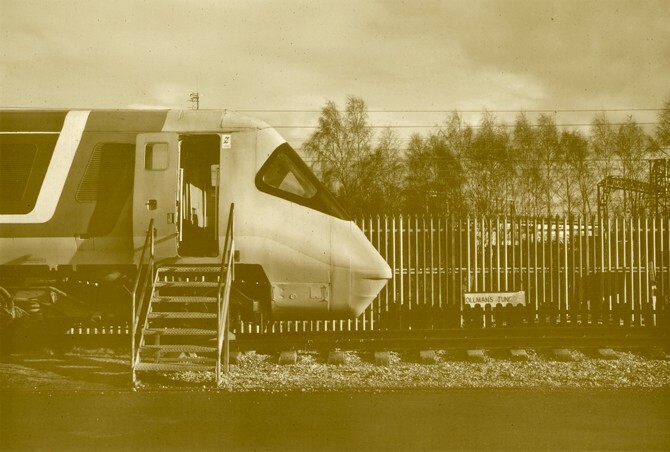 The Advanced Passenger Train is a marvel of engineering: the world’s first tilting train, designed and built by British Rail, and capable of travelling over 150 mph on Britain’s winding Victorian railways. Yet, due to a combination of technical difficulties, management incompetence and political cowardice, it never entered production. Today it sits in a heritage centre in Crewe, maintained by volunteers, whilst cheaper, gaudier, privatized trains slink past, none of which can match its speed. This essay about the APT was written to accompany Theo Simpson’s amazing print, from his Lesser Known Architecture series. It was published in Issue 18 of Mas Context, summer 2013. You can read it here. PS I've added another pic of the train just so that you can look at what we could have won. Imagine that screaming past, as you stand on a pair of rickety level-crossing gates, on the edge of a commuter village in Yorkshire, with your Dad, some time in the early 80s. Sigh.